Nashville Brewing Company (NBC) is excited to announce the release of its first beer to Middle Tennessee in over 125 years – Nashville Lager Beer. Ajax-Turner will be the distributing the beer to restaurants, bars, and stores throughout Middle Tennessee. Nashville Lager Beer will officially be available in the market on Monday, December 5th. Nashville Lager Beer is a traditional Bavarian Helles; brewed in time-honored fashion dating back to the late 1800s. Helles in German means “bright” and this beer truly lives up to its name. This bright golden lager is brewed with Weyermann Pilsner malt and Hallertauer Mittelfrüh hops. The Nashville Brewery was first opened by Jacob Stiefel in 1859. Located just outside the city center on South High Street (now 6th Ave South), the hand-crafted local beer quickly satisfied the thirst of the hard-working citizens. Though operations halted briefly during the Civil War, the brewery overcame the disruptions and re-opened in 1864. With a focus on German style lagers, the then named Nashville Brewing Company continued to brew quality beer under various ownership until 1890, when the brewery was razed. A historical marker now marks the spot where the brewery once operated. All the brewery’s advertising and labeling features an actual photograph of the Nashville brewery as it appeared in the 1880s. Keeping with the German brewing tradition, Nashville Brewing Company will be focusing on lagers, which generally take longer, and are more expense, to brew than ales. Although Nashville Lager Beer will be the brewery’s year-round offering, other seasonal lagers will be released, such as a maibock in the spring and a märzen in the fall. 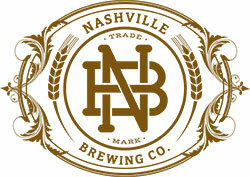 For more information about the Nashville Brewing Company, please contact Scott Mertie at 615-782-4292.